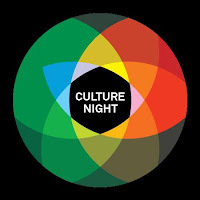 It's all about the culture on Friday, with live music with entry free all venues involved. For a full rundown on Culture Night Cork 2013 click here. Slightly less free but in no way less cultural on the following night, the U.K.'s Sebastian Gainsborough aka Vessel brings the beats to the Triskel's TDC space on a night that will also feature fellow sound-sculptors Wife and Elll.